In this article we provide a survey of some of the most common non-immigrant visa options that we see used by our clients including non-U.S. entrepreneurs and organizations looking to enter the U.S. market. Non-immigrant visas are distinct from immigration visas (Green Cards) as non-immigrant visas as approved for very specific purposes and or certain time periods. On the other hand immigrant visas are generally valid for ten year at a time (unless a conditional Green Card) and allow much more flexibility to the Green Card holder. We will discuss immigrant visa options at a later time. The non-immigrant visa options that we will review as listed below. Each visa is unique and may apply to different professionals. Some visas however can be used creatively to apply to company founders, executives, managers, or professional workers. Please note that this article is not intended as legal advice but is instead an introduction to various of the non-immigrant visas that may apply in various scenarios. We would be pleased to conduct an in depth review and consultation of your situation to narrow down he best options for you. Note that although a couple of the options discussed below do not directly apply to South African citizens I did feel it was important to include them as some persons may be dual citizens and also because entering the U.S. market with your business and expanding once on the ground often requires attracting and retaining top talent which in many cases will include non-U.S. Citizens from various countries who may qualify under different non-immigrant visa types. The intent of the L-1A visa is to allow a company doing business outside of the U.S. to transfer employees into the U.S. to work for an already established entity or to open a new U.S. subsidiary, affiliate, or branch office and transfer key employees to operate and manage the U.S. entity. The foreign parent company must be related to the U.S. business either by proving a parent/subsidiary relationship or proving that the two entities qualify as affiliates, which is normally either proven by showing that the same individual owns at least 50% of both entities or that ownership in both the foreign and U.S. entities are held roughly in the same equity breakdown among a group of owners. If all basic requirements are met, employees of the foreign entity may come to the United States to manage and operate the U.S. subsidiary/parent/affiliate/branch for a total period of up to seven years. With proper planning, the U.S. affiliate of the foreign company can serve as a conduit for a successful green card application at a later date. To qualify for the L-1A, the employee must have worked for the parent company abroad for at least one year out of the last three years prior to coming to the United States. Although the employee or transferee must show that they have worked in an executive or managerial role abroad and that they will also work in an executive or managerial role in the U.S., the employee may change job titles and duties when applying to enter on the L-1A visa. However, when the proposed U.S. position is consistent with the existing foreign role, the petition is often strengthened. There are also Green Card benefits that attach if the same position is filled. The supporting documentation necessary for an L-1A Visa is substantial and detailed. Initial L-1A visa cases really turn on proper documentation, a business plan, and a very detailed petitioning letter (prepared by your attorney) explaining why the visa is requested. Your lawyer should be assisting in guiding, organizing, analyzing, and assembling the necessary documentation to address all L-1A visa regulatory requirements and nuances. The status of the L-1A employee will be approved for an initial period of three years if the U.S. entity is an existing company that has been operational for at least one year in the U.S. If the U.S. business is a “start-up” company, operating for less than 12 months, the L-1A status is initially approved for a period of one year. At the end of one year, with the help of your attorney, you will demonstrate to the United States government that indeed you have put the business plan into action. For all L-1A employees, requests for extension of stay may be granted in increments of up to an additional two years, until the employee has reached the maximum limit of seven years. The spouse and children of the L-1A employee may accompany the L-1A principal visa holder. Dependent children are permitted to attend school and enjoy all the educational benefits associated with living in the United States. Furthermore, and of great benefit over other visa options, the dependent spouse can apply separately for employment authorization allowing him or her to work for any employer in the United States. L-1 visa processes are time consuming and document intensive. We herein provide a very general overview of the types of items we will need to collect for any successful L visa application. Note that there are additional documents that will be requested however this provided some insight into the types of materials that will be needed during processing. Lipson & Pretorius LLP will lead the process and help all parties to efficiently collect any gather the information that is required along the way in an efficient and effective manner. Business Questionnaire provided by Lipson & Pretorius LLP. Sales, cost, and income projections and detail the bases thereof. Detailed list of job duties (provided by the company) that explain the executive or managerial level job duties held with the foreign company as well as a list of the duties that you will be charged with in the U.S. This needs to be as detailed and industry focused as possible. There is a clear correlation between how detailed these job duties are and the success rate of these L visa petitions. Of course Lipson & Pretorius LLP will be assisting in reviewing the presentation of such duties. The L-1B nonimmigrant classification enables U.S. company with a foreign affiliate entity to transfer a professional employee with specialized knowledge relating to the organization’s interests from the foreign office to the United States. Similar to the L-1A, this visa option also permits a foreign company that does not yet have an affiliated U.S. office to send a specialized knowledge employee to the United States to help establish one. To qualify for the L-1B, the employee must have worked for the parent company abroad for at least one year out of the last three years prior to coming to the United States. In the relevant immigration regulations, “specialized knowledge” is defined to mean either special knowledge possessed by an individual of the petitioning organization’s product, service, research, equipment, techniques, management, or other interests and its application in international markets, or an advanced level of knowledge or expertise in the organization’s processes and procedures. However, the application of the definition above by USCIS is much more narrow and stringent historically. Employers often mistakenly assume that the fact that an employee possesses an advanced degree in a particular field and often times years of experience in a very focused niche industry is sufficient for the visa. Unfortunately, specialized knowledge has been interpreted to mean something quite different, generally requiring the demonstration of skills and knowledge specific to the company itself, which can be much more difficult to define and explain. Generally, successful applicants are those who either (1) have special knowledge of the company's product, service, research, equipment, techniques, or management or (2) have an advanced level of knowledge of processes and procedures of the company. Overall, the L-1B is a challenging visa type that require extensive preparations and coordination with your attorney to gather necessary documentation to address all L-1B visa regulatory requirements and nuances. The status of the L-1B employee will be approved for an initial period of three years if the U.S. entity is an existing company that has been operational for at least one year in the U.S. If the U.S. business is a “start-up” company, operating for less than 12 months, the L-1B status is initially approved for a period of one year. For all L-1B employees, requests for extension of stay may be granted in increments of up to an additional two years, until the employee has reached the maximum limit of five years. The spouse and children of the L-1B employee may accompany the L-1B principal visa holder. Dependent children are permitted to attend school and enjoy all the educational benefits associated with living in the United States. Furthermore, and of great benefit over other visa options, the dependent spouse can apply separately for employment authorization allowing him or her to work for any employer in the United States. The H-1B visa is a widely used immigration option available to non-U.S. professional workers. An U.S. petitioning company that wishes to employ their services in a speciality occupation may file for this visa. The H-1B in certain cases can be used to sponsor an individual who is a co-founder or co-owner of the U.S. entity. In the H-1B regulations, specialty occupation means an occupation that requires which require the attainment of a bachelor's degree or higher in a specific specialty, or its equivalent, as a minimum for entry into the occupation in the United States. (3) it has an Internal Revenue Service Tax identification number. What Occupations Qualify as being a Specialty Occupation? (4) The nature of the specific duties are so specialized and complex that knowledge required to perform the duties is usually associated with the attainment of a baccalaureate or higher degree. What is needed from the U.S. Petitioning Company? (3) Evidence that the alien qualifies to perform services in the specialty occupation as required by the regulatory language. Who Can Qualify as a Beneficiary of the H-1B Visa? (4) Have education, specialized training, and/or progressively responsible experience that are equivalent to completion of a United States baccalaureate or higher degree in the specialty occupation, and have recognition of expertise in the specialty through progressively responsible positions directly related to the specialty. H-1B visas are subject to annual numerical caps per U.S. immigration regulations. This means that demand has in the recent years consistently outpaced supply and visa quotas have traditionally been “used up” at the start of each application cycle. Timing is critical for the attainment of this visa for a first time beneficiary. Logistically, new H-1B cases can only be filed starting on April 1 of each fiscal year, with preparations to start around January. If the case is selected for processing and approved, the beneficiary will have the earliest start date of October 1 of that particular year. For those potential employees who already hold H-1B visa status here in the U.S., the regulations permit your company to transfer the employee’s H-1B work eligibility so that they can work for you. There is no timing constraint in this scenario in terms of filing by April 1, as this application can be effected at any point during the year according to hiring needs. The Immigration Service (USCIS) shall consider all the evidence submitted and such other evidence as they may independently required to assist in adjudication. An H-1B petition may not be filed or approved earlier than six months before the date of actual need for the beneficiary's services or training. The visa also may not be approved for more than 3 years at a time. However, subsequent extensions are permitted for up to a total stay of 7 years. It is important to note that although there is a 7 year limit on the validity of any on an individuals overall H-1B stay, there are specific exceptions made for persons who have employment based Green Card cases on file which would allow the H-1B status to be extended beyond the 7 year statutory limit. Your attorney can advise you more on this strategy. Family members of the H-1B worker are admitted to the United States in H-4 status. Only the spouse and unmarried children under 21 years old of the H-1B primary visa holder may qualify. Family members are admitted for the same period for which the principal family member is admitted. Has been granted H-1B status under sections 106(a) and (b) of the American Competitiveness in the Twenty-first Century Act of 2000 as amended by the 21st Century Department of Justice Appropriations Authorization Act. The Act permits H-1B nonimmigrants seeking lawful permanent residence to work and remain in the United States beyond the six-year limit on their H-1B status. The O-1 visa comes in two designations. The first type, the O-1A visa, is applicable to those persons who have “extraordinary ability” in the fields of science, art, education, business, or athletics. The second designation is the O-1B visa, which specifically applies to those persons who have a record of extraordinary achievement in the motion picture or television industry. What is the Main Focus of the O-1 Visa Standards? The O visa requirements themselves focus in large part on evidencing an applicant’s standing in his or her field. Such standing can be evidenced in explicitly listed ways as explained in the immigration regulations depending on each individual’s unique circumstances. For example, some of the categories considered by the immigration service includes: awards, published press on the individual or his/her work, published materials authored by the applicant, etc. The requirements also vary somewhat depending on whether the applicant is trying to qualify based on his or her skill set in business as opposed to the arts for example. What Kind of Work May an Individual Participate in while on the O-1 Visa? An O-1 beneficiary may either work as a part-time or full-time employee of a company, or alternatively may work as a consultant or on a freelance basis on an itinerary of individual events. Those who do not normally have an employer use an itinerary of events. For example, those who are consultants or work in fields or film, television, arts, or athletics often use the itinerary method. Because the O-1 visa is granted based on existing work that the applicant is going to perform in the U.S., the length of an itinerary will often determine the length of an O visa approval. This is a very important consideration in the O-1 visa process as the immigration regulations are laid out in a manner which make it clear that the intention of the O-1 Visa is not to allow a person to enter the U.S. to look for work. Instead, the O-1 beneficiary must evidence that they already have work lined up in the U.S. Getting a long-term itinerary is often not an issue for a corporate entity petitioning for a potential employee. Who is allowed to Act as the O-1 visa Petitioner? The Petitioner on an O-1 Visa application can either be a company or an individual U.S. Citizen or Legal Permanent Resident. There are various issues to be detailed and discussed regarding this requirement, as circumstances will dictate the best strategic option to pursue. The Petitioner however does not have to be a company who is offering work to the Beneficiary if the Beneficiary is entering the U.S. in order to participate on an upcoming itinerary of events. The general rule is that the O-1 Visa may be approved for a maximum of three years at a time. There are unlimited extensions available as long as an applicant can evidence additional upcoming events or employment at the time of filing such an extension and evidence of participation in past events. Spouses and children (unmarried children under the age of 21) may receive a dependent O-3 visa. Applicants must demonstrate a bona fide spousal or parent-child relationship to the principal visa holder. Spouses and children cannot work while in the U.S. They are permitted to study. The TN visa is a specialized visa created under the North American Free Trade Agreement (NAFTA). It permits citizens of Canada and Mexico to work as NAFTA professionals in the United States. Permanent residents of these countries are not able to apply to work as a NAFTA professional. How Can Professionals from Mexico and Canada Qualify for the TN Visa? The maximum period of admission into the U.S is one year. USCIS grants extensions of stay in time amounts of one year. There is no limit on the number of years a TN visa holder can stay in the United States. However, the TN visa status is not for permanent residence. Unless previously canceled, a visa is valid until its expiration date. Spouses and children (unmarried children under the age of 21) who are accompanying or following to join NAFTA Professionals (TN visa holders) may receive a derivative TD visa. Applicants must demonstrate a bona fide spousal or parent-child relationship to the principal TN visa holder. Dependents do not have to be citizens of Mexico or Canada. Spouses and children cannot work while in the U.S. They are permitted to study. The E-2 visa is a viable immigration option for key employees or investors from a foreign country with a trade treaty with the U.S. The visa allows the beneficiary to be able to enter the U.S. to direct and develop the U.S. Company or to work as executives/supervisors or essential employees. At least 50% of the ownership of the U.S. entity must be shown to belong to Treaty Country nationals. Where a foreign corporation is the owner of the U.S. entity, the nationality of the foreign corporation is determined by its owners and this will have to be proven. Accordingly, we would need to trace the nationality of ownership and provide evidence of this. It will therefore be necessary to set up an official entity and show ownership. The listing of E-2 treaty countries that can qualify under the E-2 visa options can be reviewed via this website, http://travel.state.gov/content/visas/en/fees/treaty.html. Unfortunately South Africa is not on this list however the U.K. and various other potential dual citizen countries are. Note that the owner or employee seeking to enter the U.S. must have the same treaty nationality in order to qualify for an E-2. If this is not the case then other non-immigrant visa options must be considered. If the E-2 is being used by an investor/owner, the funds invested in the U.S. organization must be funds that are shown to be in the company’s possession or control. Additionally, the funds must be “at risk” meaning that the money needs to be “irrevocably committed” in that supporting evidence must show that the money will be subject to loss if the U.S. operation is not successful. A detailed consideration of the source of investment funds is also required to attempt to avoid any unreasonable scrutiny from the USCIS or Department of State. As the USCIS/DOS policy on these adjudications tends to change over time, especially as related to loan arrangements, the safest investments are often those in the form of assets such as cash or inventory. It is also clear that uncommitted funds sitting in a business bank account are often insufficient as USCIS/DOS wants to see the irrevocable commitment of funds to the enterprise. One strategy that is often used to prove the irrevocable commitment of funds is through the use of Escrow agreements for the purchase of business property, inventory, etc., with the purchases contingent solely on the approval of an E-2 visa. This is accepted by USCIS and is a good way to protect the investor. An additional consideration is that all invested funds must be proven to USCIS to be lawfully obtained funds. If the E-2 applicant is the owner of the company then it must be proven to USCIS that the individual will manage the business and not compete directly in the market as skilled laborer. It must also be proven that the E-2 owner has controlling interest in business. If the ownership is by 50% then control may still established by “negative veto” so long as the E-2 owner is not contractually precluded from taking action. It should contain sales, cost, and income projections and detail the bases thereof. Qualified treaty investors and employees will be allowed a maximum initial stay of two years. Requests for extension of stay may be granted in increments of up to two years each. There is no maximum limit to the number of extensions an E-2 nonimmigrant may be granted. All E-2 nonimmigrants, however, must maintain an intention to depart the United States when their status expires or is terminated. An E-2 nonimmigrant who travels abroad may generally be granted an automatic two-year period of readmission when returning to the United States. It is generally not necessary to file a new Form I-129 with USCIS in this situation. E-2 treaty investors and employees may be accompanied or followed by spouses and unmarried children who are under 21 years of age. Their nationalities need not be the same as the treaty investor or employee. These family members may seek E-2 nonimmigrant classification as dependents and, if approved, generally will be granted the same period of stay as the employee. Spouses of E-2 workers may apply for work authorization. The E-3 classification applies only to citizens of Australia who are coming to the United States solely to perform services in a specialty occupation. The specialty occupation requires theoretical and practical application of a body of knowledge in professional fields and at least the attainment of a bachelor's degree, or its equivalent, as a minimum for entry into the occupation in the United States. How Can Professionals from Australia Qualify for the E-3 Visa? (2) The applicant has a legitimate offer of employment in the United States for a position that qualifies as a specialty occupation. Typically this means jobs that require the equivalent of an U.S. four year university degree. The applicant will need a certified Labor Condition Application (LCA) completed by the company and an employer support letter to apply for an E-3 visa. He/she would take this document along with a resume, copies of the highest degree in a specialty occupation and an Australian passport to the embassy. 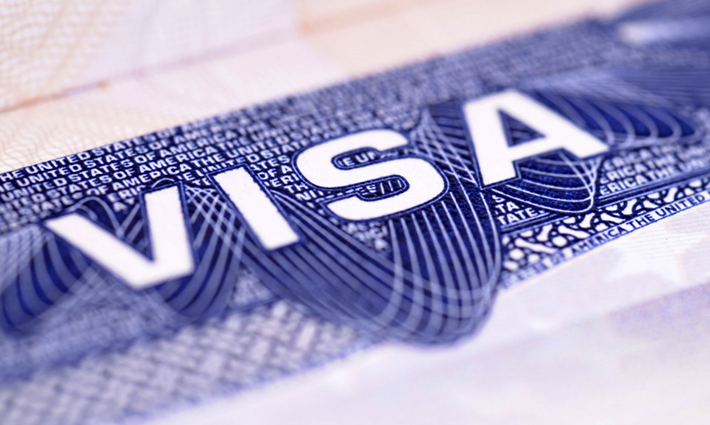 E-3 visas obtained at a U.S consulate abroad do not require any government filing within the U.S. This substantially cuts down on the paperwork for the hiring department. Also, there are no USCIS filing fees if the visa is obtained directly from abroad. To apply for an E-3 Change or Extension of status from within the U.S., the employer must file Form I-129, Petition for Nonimmigrant Worker and supporting documents with the USCIS. The maximum period of admission into the U.S is two years. USCIS grants extensions of stay in time amounts of two years. There is no limit on the number of years an E-3 visa holder can stay in the United States. Spouses and children (unmarried children under the age of 21) who are accompanying or following to join the E-3 primary visa holder may receive the same classification. A considerable benefit of the E-3 category is the opportunity for dependents (E-3Ds) to apply for work authorization within the United States. Work authorization can be obtained for the duration of the primary beneficiary’s (the E-3’s) stay. This is not a benefit for H-4 spouses of H-1B visa holders. We hope that this brief overview is a helpful guide to begin to understand the various non-immigrant visa options that exist and are most widely used by entrepreneurs, startups, and established corporate entities. If you should have any questions with regard to the contents of this introductory guide or if you would like to have a follow up call or meeting please let us know as we would be pleased to accommodate.